It is time for the 2014 edition of What To Do In Buffalo and Niagara Falls with updated dates, new festivals, added landmarks, and more fun and attractions for the whole family to enjoy! If you are making a trip to Niagara Falls, don’t neglect the rest of Western New York. 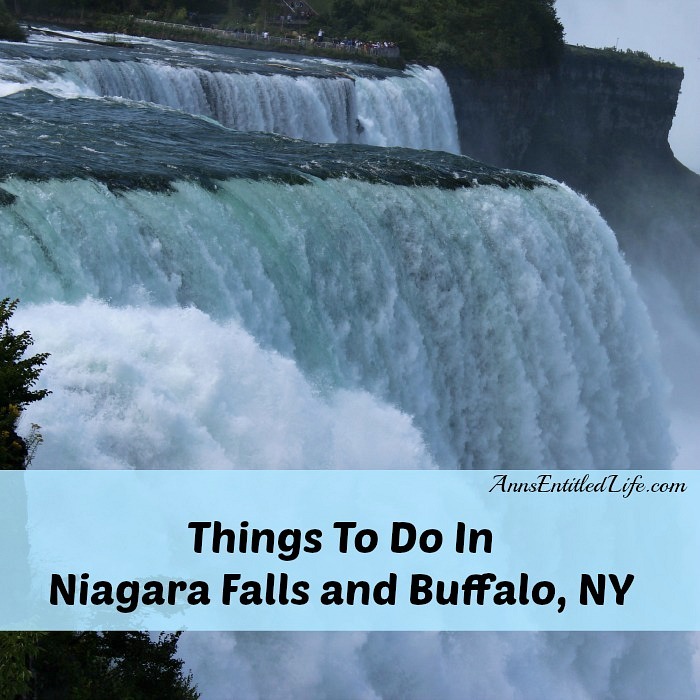 There is so much to do and see in this beautiful area, that this list of 100+ Things To Do In Niagara Falls and Buffalo, NY is just the tip of it. • Erie Basin Marina and Erie Basin Marina Gardens – they are under new management this year from Smith Boys, and you can contact them by calling the number on their website, or via facebook. • Olmsted Park System Golf courses, running tracks, tennis courts, Japanese gardens, swing sets and more. You name it and the Olmsted Park system has it, including free Shakespeare in the Park performances beginning June 19, 2014 in Delaware Park (near the Marcy Casino). • Theodore Roosevelt Inaugural National Historic Site aka the Wilcox Mansion. This is where Teddy Roosevelt was inaugurated after William McKinley was assassinated during the Pan American Exposition in 1901. Museum visits are by guided tour only. • Thursday in the Square is under new management. A new listing of dates and events will be found here. • Allentown Art Festival – June 14th and 15th, 2014, 11am – 6pm (get there early, this one gets crowded! Here are some of my Allentown Art Festival finds from last year! • Made in the America Store – This is the only brick and mortar general merchandise store in the U.S. that sells exclusively 100% American made products. The story is interesting – the manufacturers need to send along certificates that all ingredients, components, the packaging, the glue for the boxes – everything to do with the product needs to be made in the USA. This is my trip to the main Made in America Store. They now have more locations, including the Eastern Hills Mall, and one in Niagara Falls. • Art Park note that this is the Tuesday concerts $7 advance purchase, more the week of the concert. For more Ann’s Entitled Life Travel posts, click here. For more Ann’s Entitled Life New York State posts, click here. Good info. My wife and I were there last October and both enjoyed the Buffalo Bites walking tour as well as the city hall observation deck. I am glad you enjoyed yourselves, Al. Buffalo is a beautiful city with a lot to do. I would love to visit Niagra Falls. Maybe one day. You sure put a lot of work into this post! It is easier now, Shell. This is my fourth year, so I build on what I did prior years, and of course people add things they like to do in comments. When I originally started this list, I called my uncle – who volunteers all over the place, and he gave me many leads I didn’t have. My father and grandfather did the same.